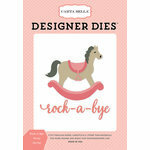 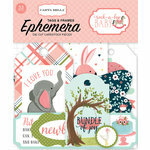 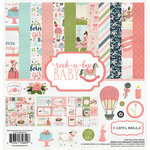 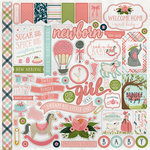 Use the Carta Bella Paper Rock-A-Bye Baby Dies to help cherish all of your baby's firsts. 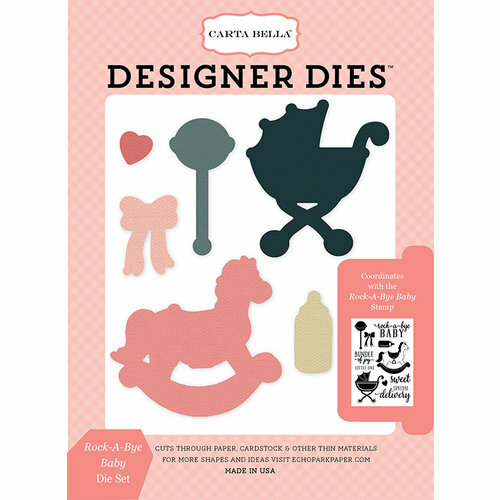 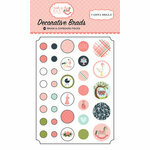 These dies are made of thin metal, which allows you to make impressive crafts. 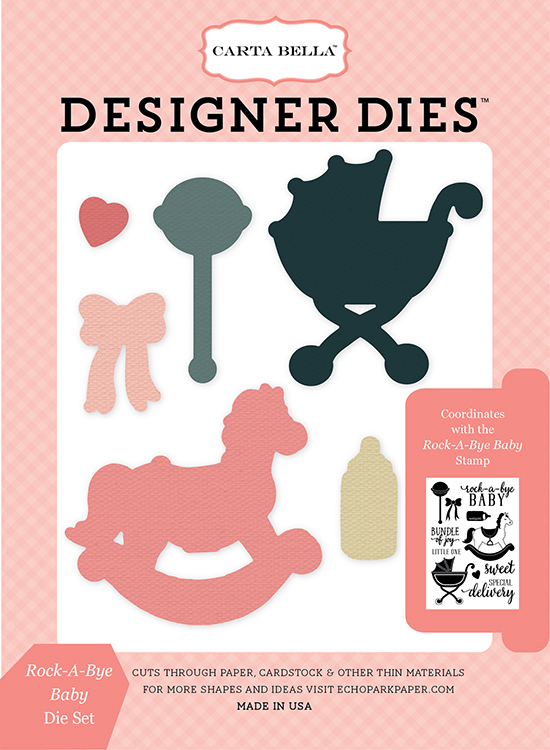 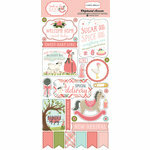 They are compatible with the Rock-A-Bye Baby Clear Acrylic Stamp Set for additional decoration. 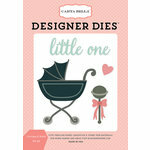 Dies range in size from approximately: 0.5" x 0.5" - 2.5" x 2.25"